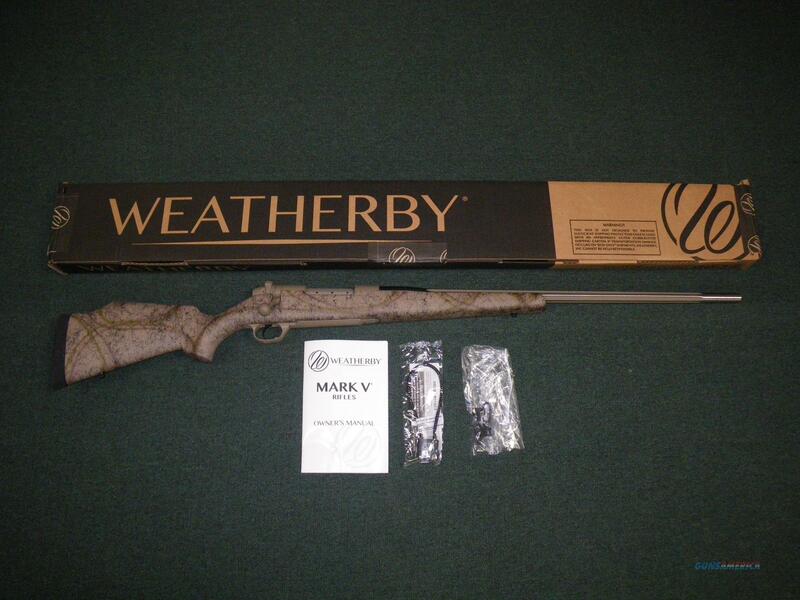 Description: You are bidding on a new Weatherby Terramark in 7mm Weatherby Magnum with a 26" barrel. This firearm comes with a hand-laminated, raised comb Monte Carlo composite stock with full length aluminum bedding block, matte gel coat finish, spiderweb accents and right side palm swell. The metalwork is accented with a flat Dark Earth Cerakote finish. It comes standard with a button-rifled, #3 contour free-floated, fluted stainless barrel with recessed target crown. Displayed images are stock photos. Any questions please feel free to ask (our phone number is in the additional information tab above).